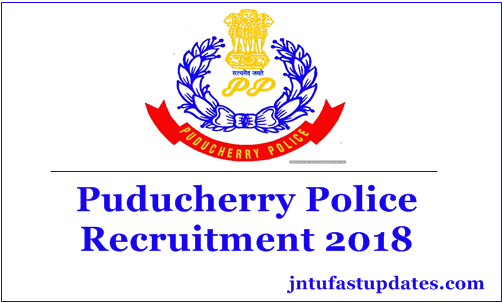 Puducherry Police Recruitment 2018: Applications are invited from eligible women and men for the posts of 390 Police Constables in the Union Territory of Puducherry. The applicant who are native of Union Territory of Puducherry by virtue of domicile or continuous residence in the UT of Puducherry for the last five years immediately preceding the date of Notification only are eligible to apply for the post. Age limit between 18 to 22 years as on 22.09.2018. Women: Height: Not less than 154 cms., Weight: 45 kgs Minimum. Candidates are required to apply online by using the website http://police.puducherry.gov.in. Brief instructions for filling up the Online Application Form have been given in the Annexure enclosed.